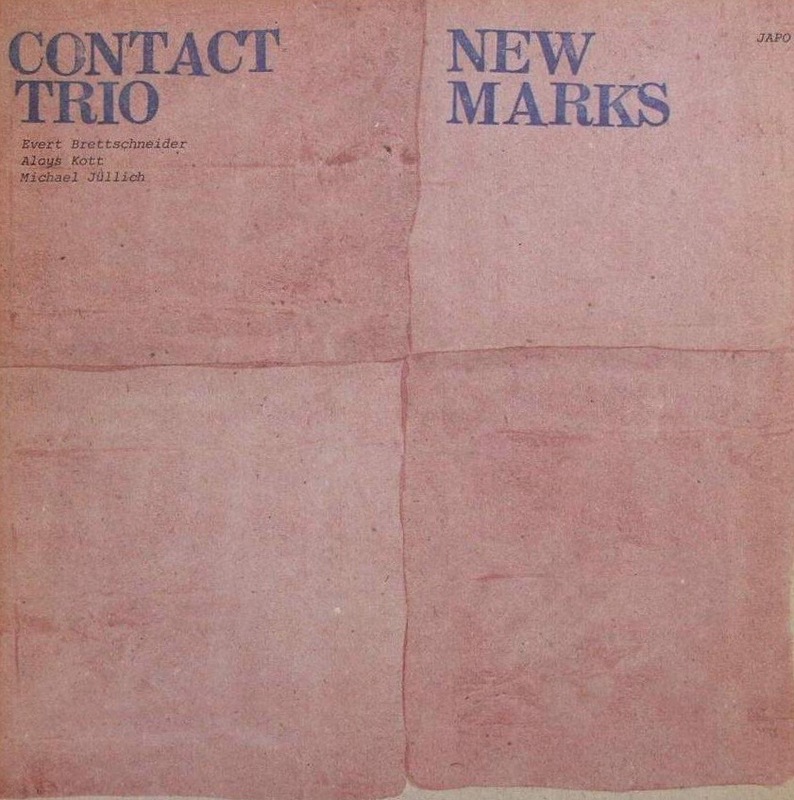 Along with Musik, the Contact Trio’s New Marks is another standout for ECM’s sister label, JAPO. Sharing with that later release frontmen Evert Brettschneider (acoustic and electric guitars) and Aloys Kott (fretless bass) but differing in the presence of Michael Jüllich (percussion, marimba, and vibes), this incarnation of the band charts vaster, even more palpable territory with a crystalline signature sound, for which we may also thank the late, great producer Thomas Stöwsand. Brettschneider and Kott share composer credit. The former’s pen yields the album’s opener, “Happy,” which welcomes the listener appropriately with a smile. At first, Kott takes a page from the Eberhard Weber playbook—and, later, evokes the more experimental Bill Laswell—before ironing out his own distinct fabric. Jüllich, for his part, starches the outer layer with glowing cymbals. Guitarist and bassist trade harmonic arpeggios, foresting a temperate climate around Jüllich’s detail-oriented drumming. Kott’s “Circle” unfurls a likeminded mesh of marimba and vibes in support of Kott’s melodic overlay. This watery backdrop adds an ambient touch to the piece’s growth from conversation to prayer. Brettschneider’s electric shares starry crosstalk with Kott, then fades like a comet’s tail into a flanged midsection. 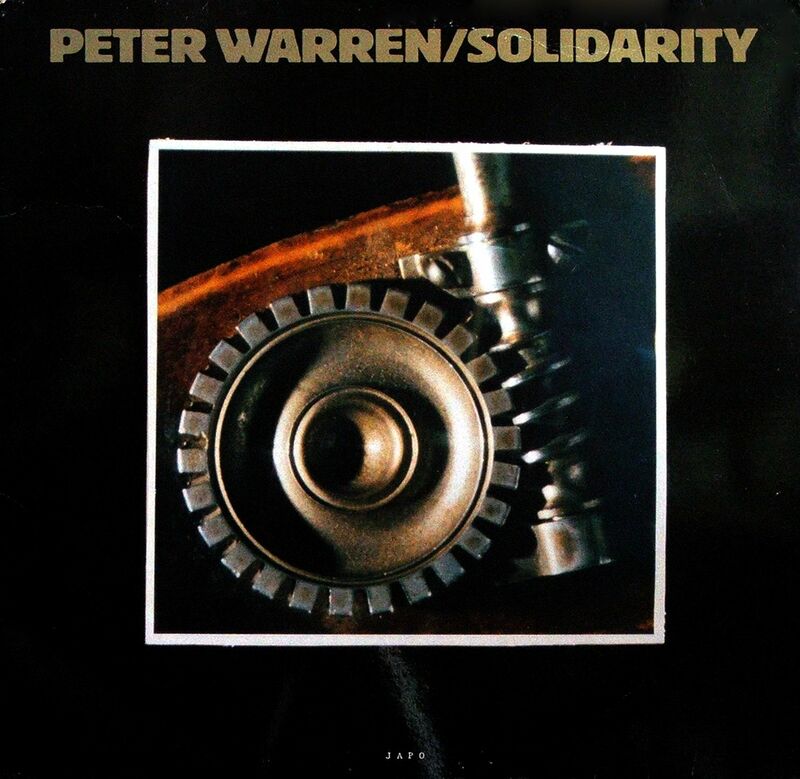 This atmospheric shift wanders into what jazz might sound like if Steve Reich were to play it, mallet percussion and bass opening a window into the electric guitar’s virtuosic crunch. “The Quick Brown Fox Jumps Over The Lazy Dog” begins the album’s second half of three tunes, each co-written by Brettschneider and Kott. It’s a frantic jazz crawl that reveals Jüllich at his finest, painting the night with a deluge of stars in his solo. “Stoned Tunes,” an album highlight, is a wintry duet of 12-string acoustic and bass, which segues into the title track’s freer language, a primer of both the band’s process and its imagistic leanings. New Marks is worth tracking down in any form. 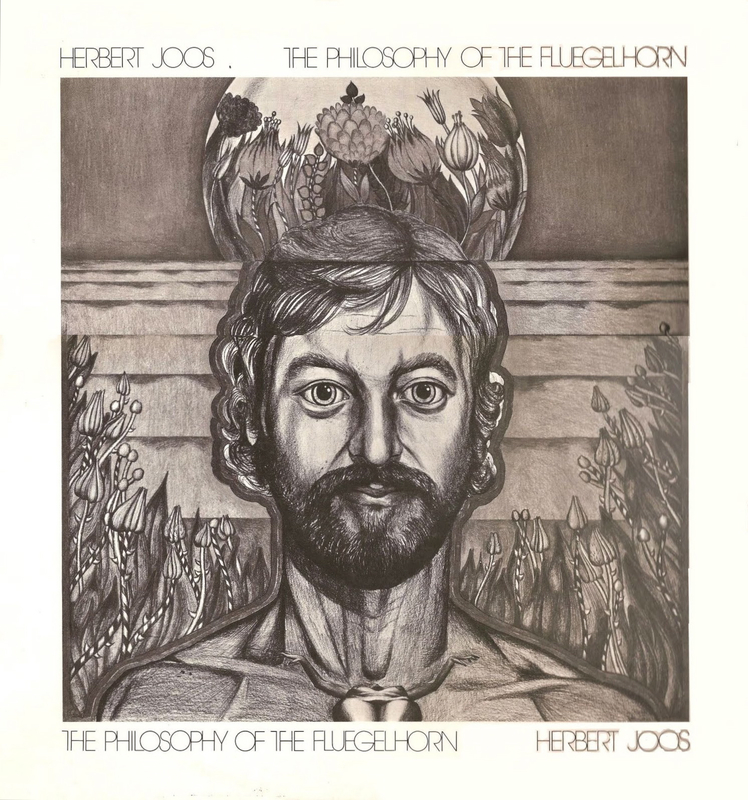 The Philosophy of the Fluegelhorn is Herbert Joos’s first of two albums for ECM’s sister label JAPO, the second being Daybreak. Where the latter was a lyrical, if longwinded, excursion, the former is something of a meta-statement for the German renaissance man—not only because he plays a bevy of overdubbed instruments, but also because its freer detailing gives pause over the sheer depth of realization. The title track draws us into the outdoors, where field-recorded birds—and, among them, Joos’s horn—populate the trees with temporal awareness. Sibilant breath and popping bamboo flutes share the entanglement: the rhizomatic spread of Joos’s becoming-animal. Following this undulating prelude, “The Warm Body Of My True Love” opens the stage, a halved and hollowed whole. The nature of this soliloquy must be sought out in stirrings of life, excitations of molecules, and less definable physical properties. The horns are trembling, universal. “Skarabäus II” is of similarly finite constitution, navigating passage into darker dreams and adding to those horns a string’s uncalled-for response to the question of existence. Braided offshoots of trumpet fly around one another, each carrying its own flame of obsession. Next is the smooth and sultry “Rainbow.” Tinged by the alcoholic sunset of vibes, it is a hangover not yet shaken for want of the altered perspective. The squealing litter of horns that is “The Joker” segues into “An Evening With The Vampire.” Bathed in the sounds of nine arco basses, it enacts a morose ending to an otherwise luminescent session. Its sul ponticello screams recall George Crumb’s Black Angels and spin the echo-augmented horn like a chromatic Ferris wheel until the breath stops. If you’ve ever been curious about Joos but didn’t know where to start, then by reading this you’ve already put your hand on the knob. Just turn it. 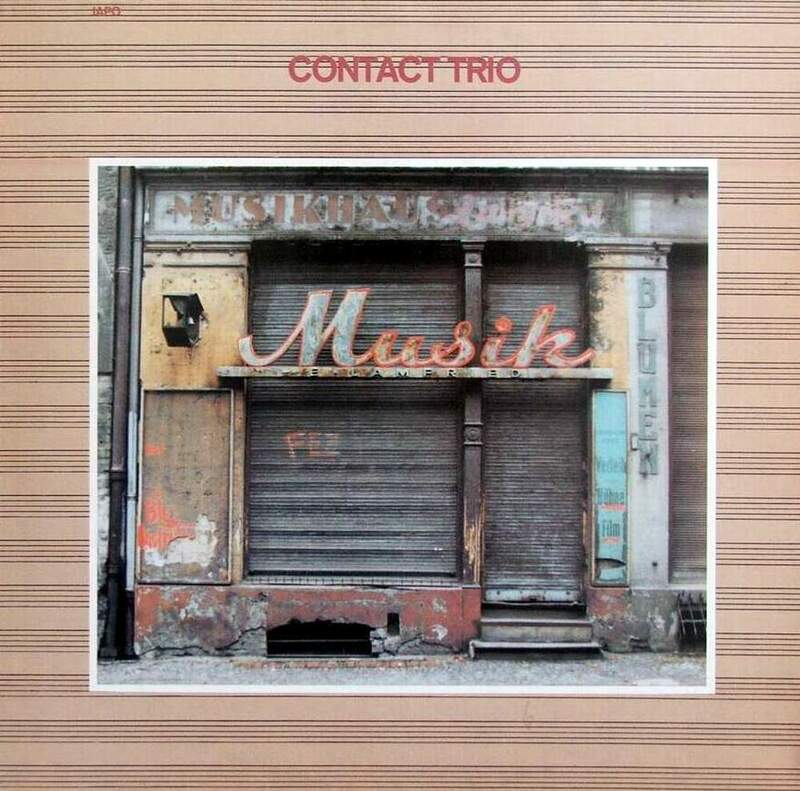 Musik was the second effort by the Contact Trio for ECM’s sister JAPO label. 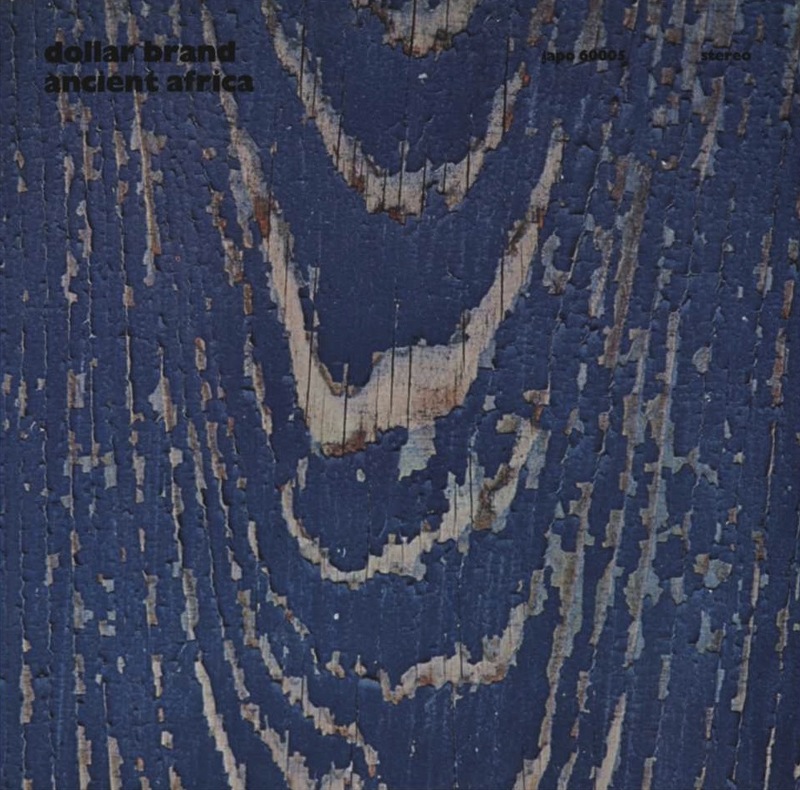 Inspired by the atmospheric developments of Wolfgang Dauner (see, for example, Output) and heavily invested in the softening distinctions between rock and jazz, the trio had by now perfected its rhizomatic sound in what was to be its final record. Here Peter Eisold takes the place of drummer Michael Jüllich, and the result is a truly aerobic experience. The echoing guitar of “Air Lines” opens the session by straddling extremes of register and sharpness, and starts a snowball rolling down the bass’s equally resonant hill. Strangely, the ball doesn’t pick up speed for some time, but paces itself in a journey of textured reflection, tracing from each icy particle a possible trajectory of flight. Eisold’s unique percussive language is thus apparent. And then: traction as the rhythm section hurls the guitar to tell its story in anticipation of an untimely end. Muscles and tendons glow with flexion in “String Games.” Acoustic in hand, Brettschneider reflects on a past in which the only truth was a broken mirror. There is a feeling of dedication here, a deference to time at large for providing this opportunity to luxuriate in the creation of music. Like the first, this track hooks on to something more propulsive in the final minutes, only now running through the backstreets of a small Spanish town, chasing after a melody. “Daddy Longleg” is an invigorating turn featuring two overdubbed electric guitars and electric basses, each relaying torch light in palpitating dialogue with the other. Eisold again shines with colorful cymbal work that evokes nocturnal footfalls in the walls. From its title alone, “Simple Symphony” would seem to be an allusion to Britten’s work of the same name. The music provides an entirely different experience. 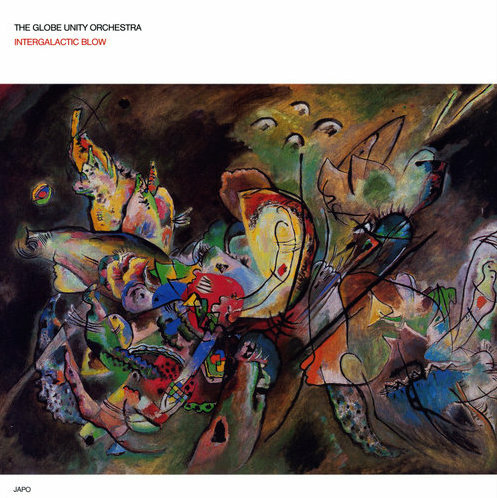 From Brettschneider’s throbbing beats and elastic chording to the groovy trio unity achieved thereafter, it climbs every tree in its way like a squirrel on a mission. The rhythm section positively shines in gorgeous geometries, sliding from one signature to the next with the ease and comfort of a fountain pen. “Elbow Dance” completes this full-body workout with a slog through cement that finds resolution and strange comfort in the hardening. At the risk of belaboring all of this analogizing, Musik is an intensely physical record. Not only in the sense that it feels weighted and animate, but also for its permeable compositions. Each is a thoughtful assemblage of lines that no longer has need for points of origin. Together, these lines leave the listener with a lasting meta-statement of harmless transgression. 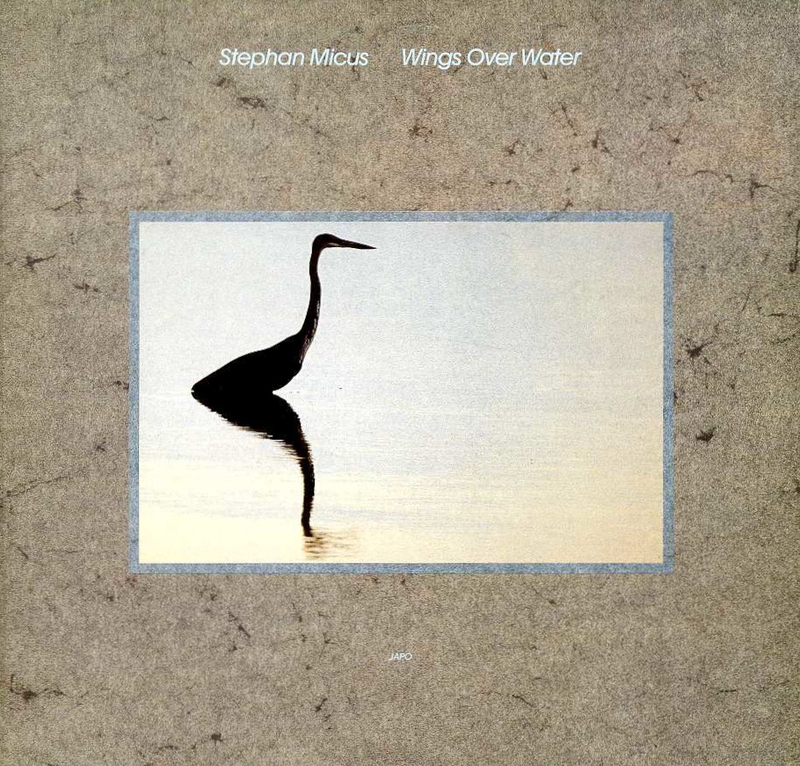 A gem in ECM’s apocryphal bin. 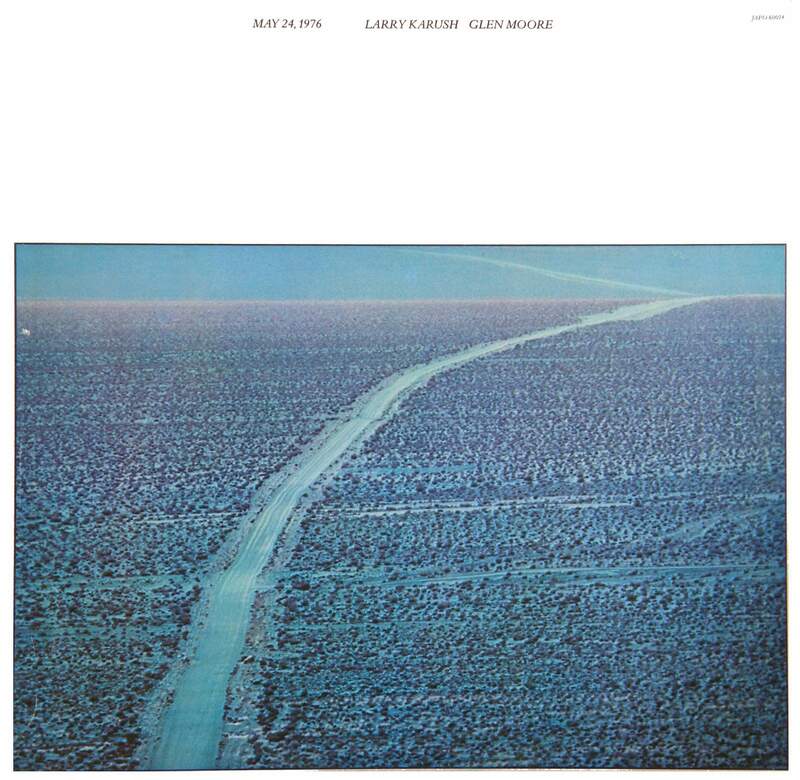 Bassist and Oregon cofounder Glen Moore joins pianist Larry Karush (who can be found lurking elsewhere on ECM as part of Steve Reich’s ensembles) in a fascinating encounter recorded on the titular date for the JAPO label. Perhaps because the two had already nurtured a deep synergy, what might have been a straight-up duo project instead turned into a spacious and variegated statement. Karush serves up four memorable solo portions, including opener “Untitled.” Balancing cloudy textures with sudden intakes of breath, it leaves only ash to tell of the fire that once burned there. “Transit Boogie,” on the other hand, is a forward-moving piece of ragtime nostalgia that delights in interlocking parts. “Vicissitudes” and “Pamela: At The Hawk’s Well” round out the solo ventures with introspections and intense descriptiveness. Moore’s single lone contribution is “Flagolet,” an overdubbed piece for bowed basses that grinds and twists its own sonic licorice. “Duet,” the first in a handful of the same, marries these two uncompromising talents in such intuitive ways you’d swear they were separated at birth. Moore’s resonant bassing swims, keens, and prophesies at horsehair’s touch. Like a pinwheel tickled by the fringe of an incoming storm, his energies flourish in a whirl of colors. “Country” finds the bassist leaving deep pizzicato footprints along Karush’s sandy trail. The bluesy serration of this emerging path arcs beautifully into the late-night atmosphere of “Abstinence.” This masterful exchange of air and water finds likeminded release in “Triads,” which concludes with pointillist reflections at the keyboard from behind a David Darling-like gauze. The session’s crowning jewel, however, is “Violin Suite,” which places a smaller bow in Moore’s hands. Its flip-flopping of scratching and melodic itching makes for a sparkling field of contrast that pairs well with the Pifarély/Couturier vintage of Poros. 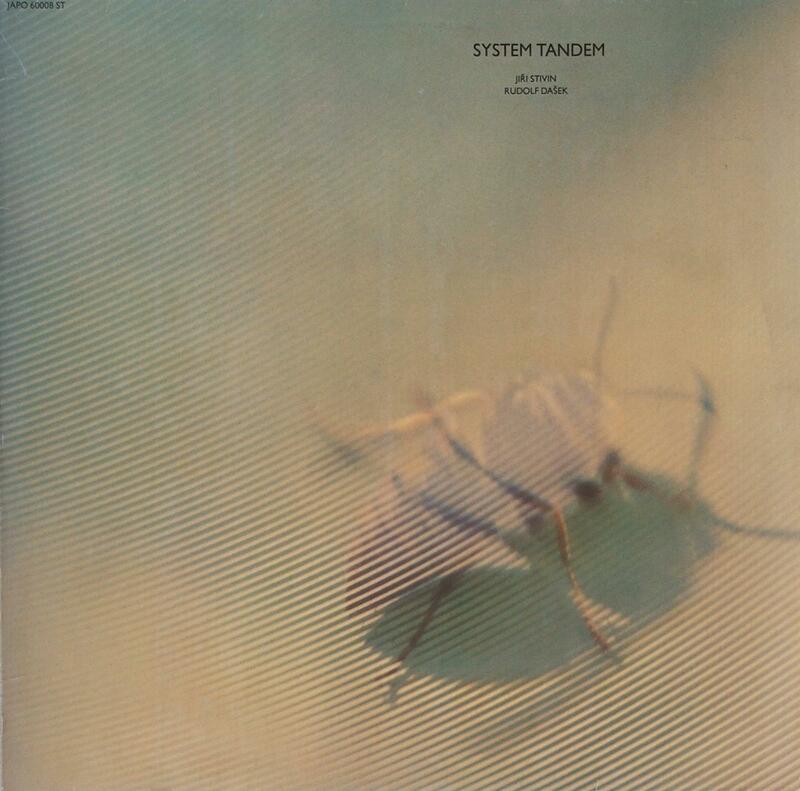 Sitting at a cerebral interstice between categories, Karush and Moore cover their cardinal bases and then some, leaving us in the end with one of the most wondrous JAPO sessions, period.